The second wall after the starting beach will be much larger and have a locked wooden gate. This will be one of the games first objectives to solve, find a way to open the gate or bypass it somehow. 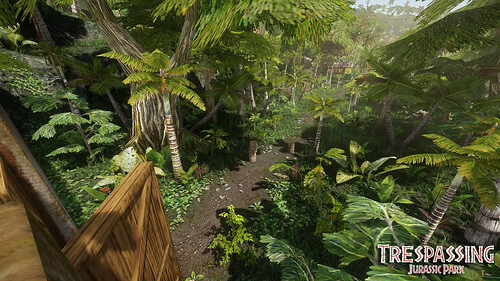 In the retail game the second level was called the Jungle Road, but according to the walkthrough document, this is actually where the Jungle Road officially starts. It takes you to the first monorail terminus and continues off and on with the monorail tracks through to the third level, Industrial Jungle. ~ by newoldmate on 08/12/2015. This looks incredible! Keep up the amazing work! Now that’s a jungle. Such nice thicket. Surely exciting to not be able to see farther than 20-30 meters. Or at least having trouble to do so. This is incredible! I can not wait to play this!!!! !